Want to get your residents a little stressed out and fearful? Start talking construction HOA costs. It is often a hard sell to get them all on-board to invest into their properties. You may even be tempted to avoid bringing up the conversation at all. This is one of the worst things you can do. When we avoid taking care of necessary repairs or HOA upgrades, we put a lot at risk. Ignoring small maintenance tasks can lead to costly repairs. Neglecting things like the roofing and siding can create problems with leaks, foundation cracks and more. Failing to upkeep the property can also reduce its value which is never good for any of your residents. Be upfront with costs. Don’t try to sugar coat the situation. Let residents know what the current situation is, why the construction is necessary, and how much it will cost. Partner with only experienced, local contractors. They are more likely to offer a professional job while finishing on time. A team like Custom Installations is your best bet! People like having a voice; an opportunity for their opinions to be heard. Hold discussions/planning sessions open to all residents so they can feel part of the process. Offer written literature. Throwing a ton of information onto someone all at once can be overwhelming. Provide small pamphlets or handouts residents can take home with them to learn more. Take time to brainstorm what your residents may be worried about. Look for creative and thoughtful ways to address them so when the time comes you can show them how you are working on their behalf. Custom Installations offers a number of full-service exterior installations and repairs to HOA’s throughout the Chicagoland area as well as Southern Wisconsin and Northwestern Indiana. 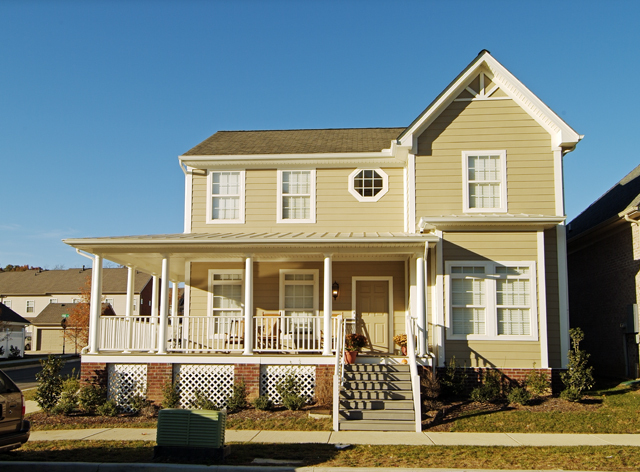 We specialize in roofing installation, window replacement, siding work and more. Choose the expert team that will help you finish on time and within budget – choose Custom Installations. Schedule an appointment today.